Big Brother Spoilers > Big Brother > Big Brother 18 > Big Brother 18 Exclusive Live Feed Content – Big Brother Alumni HOTSEAT Videos! Big Brother 18 Exclusive Live Feed Content – Big Brother Alumni HOTSEAT Videos! The premiere of Big Brother 18 is fast approaching and we’ve got exclusive live feed content to share with you. 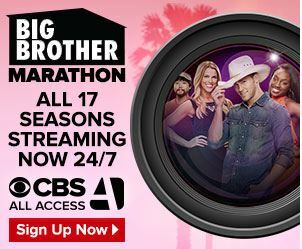 By signing up for CBS All Access you get access to thousands of CBS shows, plus all of the Big Brother bonus content. Right now the Big Brother Marathon is running where every episode from seasons 1 – 17 are streaming. In addition to VIP Big Brother Alumni chats, plus you will get the first look at the new house guests when they are release on June 13th! 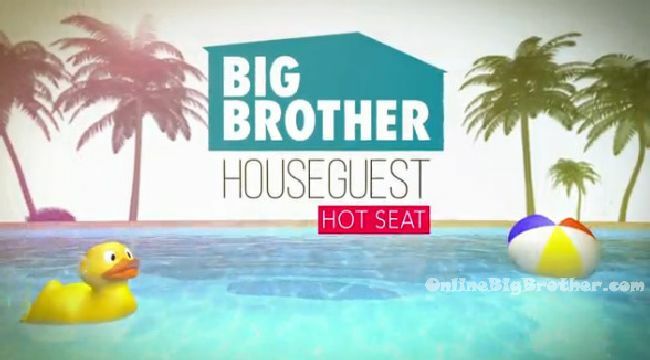 The “Houseguest Hotseat” videos are interviews with past Big Brother house guests that will be released when their season airs during the Big Brother Marathon. These will only be available on desktop. Sign up with our link and get a 1-week free trial. After the free trial, CBS ALL ACCESS will only cost $5.99 / month. So i’m assuming by the alumni list that it’s basically everyone who was picked to play The Price is Right. I just don’t get the interest in Frankie grande. I’m actually on the fence over even watching this season if he’s on again in protest and I’ve watched since season one. Its coming up quick!!! I am more ready than I’ve ever been! I’ve already got my live feeds which is earlier than I’ve ever gotten them before but its awesome watching the BBmarathon to get caught up on past seasons. I hope its all new people too. Can’t WAIT!! I’m excited too! Can’t wait to meet a new cast of new people. The last bunch nearly burned me out. Swear to heaven if Skankie Grande is on again I’ll gouge out my own eyeballs with a plastic spork from KFC.